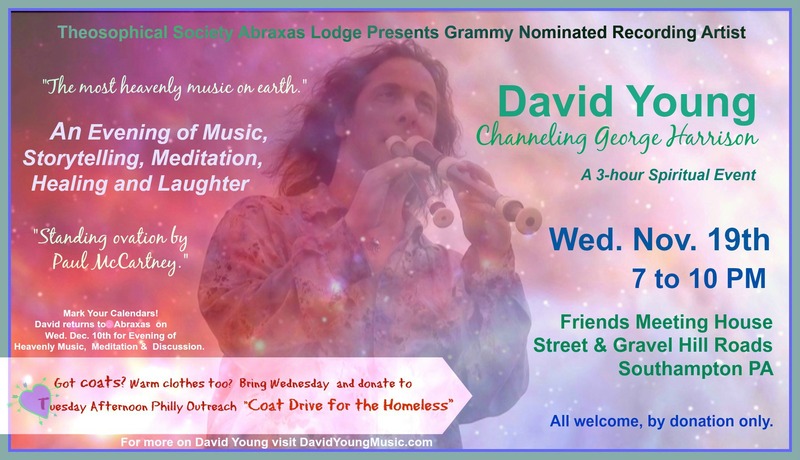 Wednesday November 19th in Southampton – David Young is “Channeling George Harrison” | Be Kind. We're all in this together. This entry was posted in Uncategorized and tagged Bucks County Spiritual Events, David Young, David Young Channels George Harrison, George Harrison, inspired music, meditation music, Spiritual Events Southampton PA, Spirituality of George Harrison's music, Theosophical Society Abraxas Lodge. Bookmark the permalink.